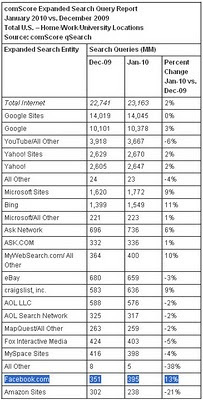 What Search Engines Are Being Used The Most? - Bing usage, although small has grown 11% year over year. Certainly a good deal of this surrounds the buz of this new release. Clearly Yahoo has take notice: word has it that yahoo will now use the Bing search engine as their backbone when they finally merge their SERPS. - Youtube is still the SECOND most popular search engine (next to their owner: Google). It is always amazing to me how much time and effort people spend in optimizing their websites yet most still ignore the optimization of videos on this search engine. - FaceBook had a 13% growth year over year - bet you never thought of Facebook as a search engine right? With over 200 million active users in the US and over 100 million that use the system each and every day, people need to give this some serious thought. Facebook pages like: Law Firm SEO (Search Engine Optimization) some bring some serious punch to your SEO efforts if properly utilized. Toyota is facing dozens of class-action lawsuits in the US that could cost it billions of dollars in damages as the Japanese company struggles to contain the fall-out from its mass recall of faulty cars. Akio Toyoda, Toyota’s chief executive, is on Wednesday due to update consumers about what steps the company is taking to address the design flaws that led to unintended acceleration and braking problems in some of its most popular models. Mr Toyoda’s presentation is part of a belated drive to counter the negative fallout, including the proliferation of lawsuits and two US Congressional committee hearings that will probe its response to drivers’ complaints. One committee has asked Mr Toyoda to testify during a planned visit to the US next month. Tim Howard, a law professor at Northeastern University in Boston who is co-ordinating litigation against Toyota, estimated that 44 class-action lawsuits had been filed under state and federal law by the end of last week. 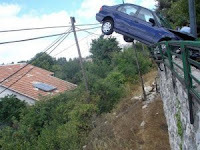 He estimated that the claims could reach $3.6bn (€2.6bn), based on an average loss of $600 per vehicle. A court hearing is scheduled in San Diego on March 25 to determine the location of a single national case. Some claims relate to deaths, injuries and property damage allegedly caused by defective parts, while others are based on a drop in Toyota vehicles’ trade-in values. In addition, some dealers and car auction companies have claimed compensation as a result of the freeze imposed earlier this month on sales of eight recalled Toyota models. Two law firms spearheading a claim by dealers and auctioneers in Kansas and Louisiana, said “class actions allow small businesses to come together and take on a corporate Goliath like Toyota”. Toyota hit another bump on Tuesday when the US National Highway Traffic Safety Administration, itself facing criticism over its response to concerns about Toyota safety issues , said it was investigating whether the carmaker conducted its vehicle recalls “in a timely manner”. The NHTSA said it had requested production data, consumer complaints and other documents expected to shed light on how and when Toyota learned of problems affecting about 6 million vehicles it has recalled in the US.